In her deeply affecting and profound portrait of illness and how it can dramatically alter the fabric of our lives and our faith, Nora Gallagher depicts the process of alienation she experienced when she encountered her first major crisis of health. 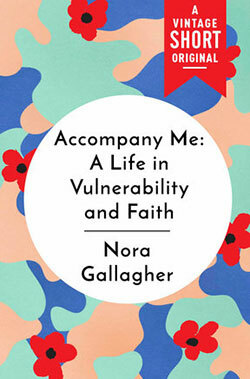 Learning to suddenly have to ask for help, to heal, and to find her own capacity for wellness and resilience—Gallagher makes a powerful call for a more meditative, shared existence in which we can sit quietly with one another, open our hearts, listen, accept, and throw off the narrative of business and function that pervades our lives and blinds us to compassion. Meditative, touching, and an inspiration—Accompany Me welcomes people from all walks of life and tradition to join Gallagher on her journey to rediscover her faith, her home and her comfort in a community of all of the other souls who spend their days with one another in the land of the vulnerable.